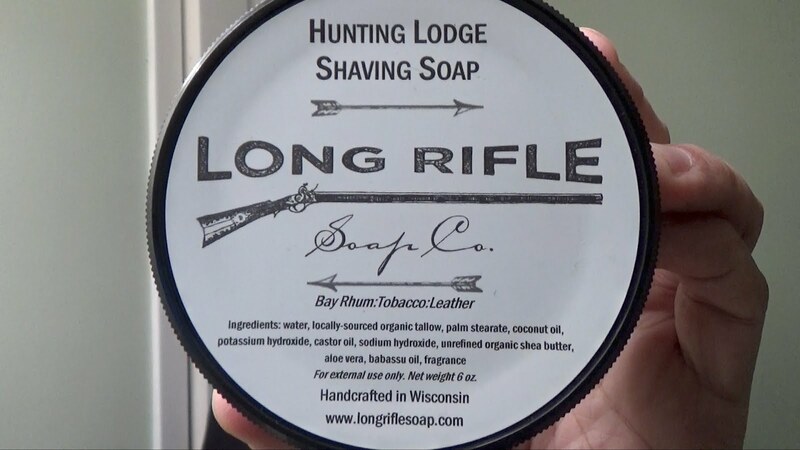 Company: Long Rifle Soap Co. I remember getting my first pucks back in 2015 and since then Long Rifle has grown into an amazing company. They offer much more than they did 2 years ago and have reformulated their shaving soaps and added shaving creams to the mix. I have to disclose the fact that we are currently running a giveaway but I felt it was time to give a brief update to this artisan. They still offer products on the ETSY site but now you can locate them on http://www.longriflesoap.com offering Bar Soaps, Beard Oils, Mustache Products, Shaving Soaps & Creams, Balms and even soap for your dog. 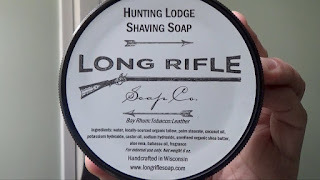 This time I had the pleasure of using Hunting Lodge the new formulated much softer shaving soap then the puck of 2015 and the new plastic tubes are a welcome addition. This is a 6oz tube with screw on lid but I think the label could use a little TLC for such a great product. I know I’m nitpicking here and you don’t really use the label for shaving but if you want to stand out in this crowded market that’s one way to do it and this product deserves it. The scent on Hunting lodge is extremely masculine a blend of bay rum, tobacco, and leather. You’ll find yourself picking it up even if you’re not using it to just take in the fragrance again. Creating a bowl lather was easy with this product after using just a brush full of water in only a min I had an amazing amount of rich creamy lather. The coverage was fantastic applying the thick creamy lather was like panting your face. The slickness and glide was tops with Hunting Lodge it allowed me to maneuver my razor over areas with no issues and free of razor burn. My post shave feel was also one for the books. So, I really liked the new formula it shows that even in the soap making business formulas can and do change regardless of what other people might say and this new direction is just spot on.